Home › Competition › Toy Design Competiton! We’re trying something new on the blog today: A Design Competition. Loop publishes a range of our own patterns as well as offering free patterns, here on our blog. We are proud of the excellent writing, well thought-out designs, beautiful photography and technical editing in each pattern. We know many of you are budding designers (as well as some established ones that might never have thought of designing a toy! ), so we thought we’d offer you the opportunity to design for us. Initially we are looking for a special toy design. We’re hoping to find an adorable toy design to offer as a pattern on our blog. 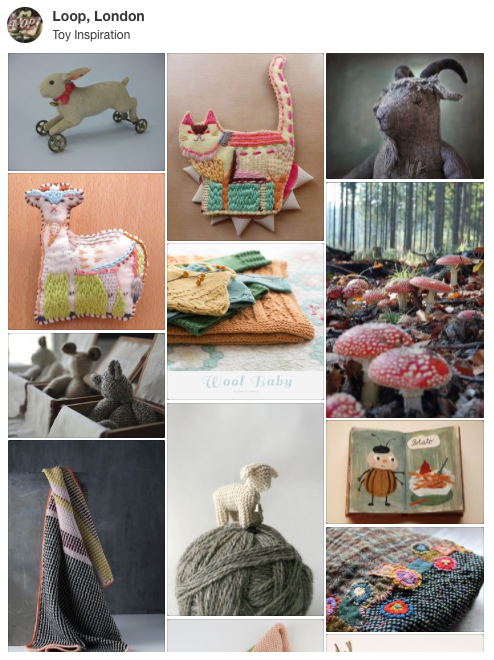 We’ve made a Toy inspiration board on Pinterest to show the kinds of colours, toys and themes that appeal to us. You can see that we like charming but quirky and everything from neutrals to happy colours. We’re also crazy about layers – stitched embroidery and patches and anything that adds a bit of whimsy to the toy. Familiarise yourself with the patterns we offer on our website and the free patterns we offer on our blog to get a sense of our style. Consider whether your item is meant to be decorative or a practical toy. If it’s intended as a baby toy, it should be washable and safe (no small parts). If you are commissioned to design a pattern, you will need to write instructions and provides graphs for any stitch patterns. Your design must not have been previously published or shared; online or elsewhere. Your design can be knit and/or crochet and include embroidery if you want. Some of our toy making products to consider. The deadline for submission of your design is March 15th. The completed pattern and sample are due May 30th. 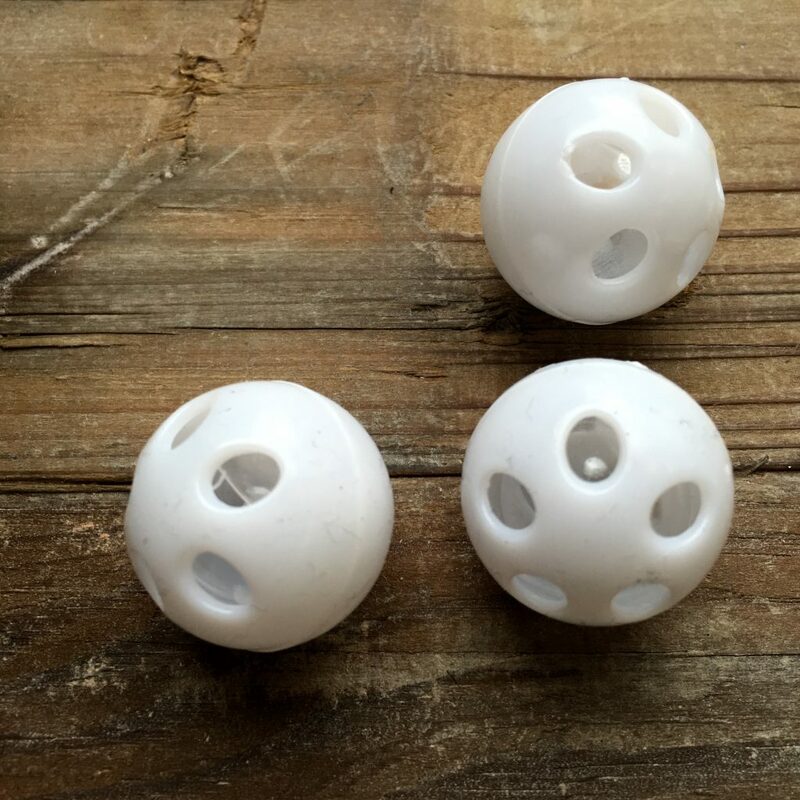 For the patterns that are free on our blog, we pay up to £200 (depending on complexity). All materials are supplied by us. The pattern will be beautifully photographed and the PDF will be laid out professionally (in the Loop style). We will also have the pattern tech edited. The designer gets full credit and links to their Ravelry page in all our promotion. We so look forward to seeing your submissions. If you have any questions, leave them in the comments and we’ll get back to you. This is exciting, but is it open to people in the US? Thanks! Absolutely. We work with designers all over the world. What a lovely idea! Is it possible to make the first idea of the toy with similar yarns, ribbons etc. or do you have to order the yarns from your shop? I’m not living in the UK. 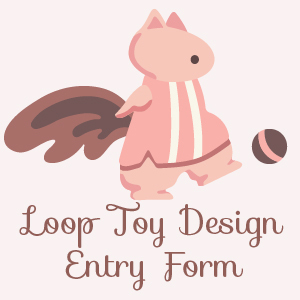 Do you have to see the complete toy before March 15th or can you draw or photograph the design? Your prototype for the design can be represented any way you feel best. Drawings and photographs are great and we understand you may want to try out your design is a different yarn to start with. We just want the design for March 15th. So exciting! Where can I submit the photograph of my design?